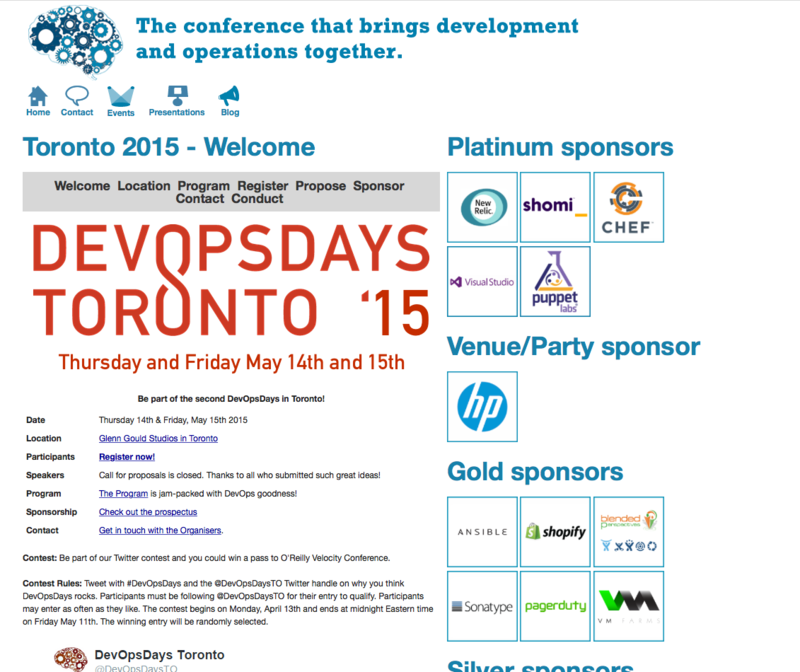 Blended Perspectives » Come to DevOps Days Toronto! Come to DevOps Days Toronto! We’re Gold Sponsors of DevOps Days, Toronto! DevOps is the practice of ensuring you have automated sufficiently to always be ready for release. Therefore it is a fundamental driver for competitiveness in IT today. So, what better way is there to ensure that your organization is competitive than coming down to DevOps Days in Toronto? The Atlassian’s suite of tools empowers teams to comprehensively manage across the concept-to-launch lifecycle. From Strategic Planning in JIRA Portfolio Concept in Confluence, Tracking work in JIRA & JIRA Agile. In addition to securing code in Stash, automated test, build and deliver in Bamboo. All that as well as providing Service and Self-Service with JIRA Service Desk and Confluence Questions. It is safe to say that we have you covered! Although we attended the event last year, we only just wet our appetite. After seeing the fantastic work that the DevOps Days team do, we decided to go one better this year. In order to give something back, we are now gold sponsors of the event! If it sounds like you’d be interested in learning more about DevOps, come meet us at DevOps Days Toronto. We’ll be sure to provide you with all the latest DevOps news along with expert advice and goodies! Register today – it’s guaranteed to sell out! Finally, if you wish to discover how to unlock the potential of your organization through Atlassian tools, contact us now.